Annual Symposium | Virginia / North Carolina Alliance for Minority Participation, U.Va. 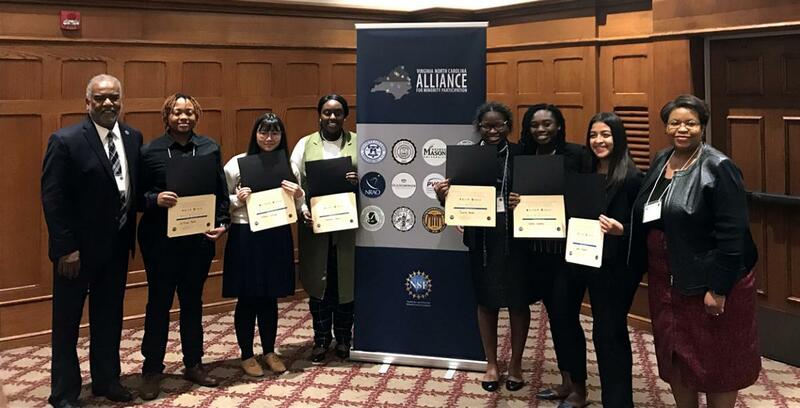 2018 VA-NC Alliance Undergraduate Research Symposium: "Fostering Innovation and Excellence in STEM"
The 11th Annual VA-NC Alliance Undergraduate Research Symposium Virginia Tech was held October 14 – October 15 in Blacksburg, VA on the campus of Virginia Tech. Cynthia “Alicia” Traughber is a PhD candidate in Molecular Medicine of Cleveland Clinic/Case Western Reserve University in Cleveland, OH. Alicia earned her B.S. in Biology at Oakwood University in Huntsville, Alabama in 2012. While at Oakwood, she worked on her undergraduate research project studying how environmental contaminants negatively impact aquatic organism development. Alicia knew that she wanted to be involved in research so she applied to and was accepted as a summer research intern into to the Multicultural Academic Opportunities Program (MAOP) at Virginia Tech in 2011. Alicia worked on a project in Dr. Daniel Capelluto’s lab investigating how protein-protein interactions disrupt membrane trafficking and docking. This inspired Alicia to want to learn more about science and how research can be used to study diseases. After completing her undergraduate degree Alicia returned to Virginia Tech into the VT-PREP program where she could begin graduate training and gain more research experience. When she arrived, she was able to help finish the project she worked on during her 2011 summer internship that eventually led to a co-authored 2013 JBC publication. After completing her assignment with Dr. Capelluto, Alicia joined Dr. Isis Kanevsky’s lab in Dairy Science, where she studied immune responses to Staphylococcus aureus-induced mastitis in dairy cows. 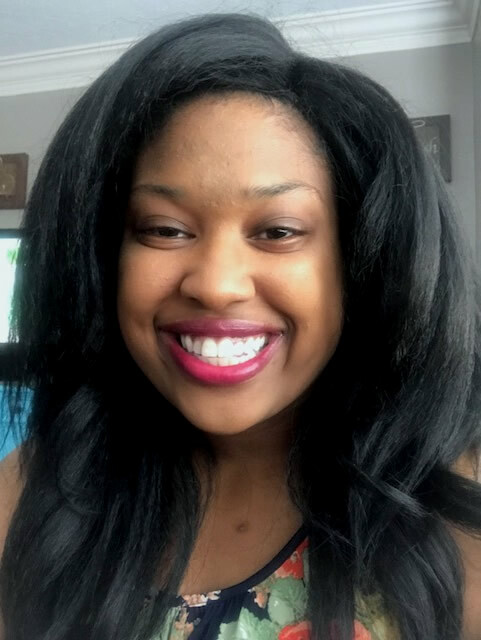 The work and training that Alicia completed in the VT-PREP program endowed her with the research skills, knowledge, and competitive edge to gain acceptance into the Molecular Medicine PhD Program at Cleveland Clinic/Case Western Reserve University. She is currently working on her thesis in the lab of Dr. Jonathan Smith in the Cellular and Molecular Medicine Department. Although the primary focus of the lab is to elucidate the mechanisms and pathways of lipid metabolism involvement in cardiovascular diseases, Alicia and her mentor have developed a project investigating the role of HDL lipid metabolism in the proliferation and progression of prostate cancer. HDL is known to be cardio protective, however there is much debate about its protective nature in prostate cancer. The focus of Alicia’s research is to investigate how HDL metabolism, through receptors SR-B1 and ABCA1, leads to pro- or anti-proliferative effects on prostate cancer cells. She is using cutting edge technology, such as CRISRP/Cas9 gene editing, to assist with her ongoing research. Since beginning her work, Alicia has been a recipient of the Carl Storm Under Represented Minority Fellowship for the 2015 Hormone Dependent Cancers Gordon Conference, acquired an NIH NRSA F-31 Diversity Fellowship (2016), and submitted data that was used to secure a Cleveland Clinic Velosano Cancer Research Grant (2017) to support her thesis research. Once she completes her dissertation, Alicia plans to pursue a Master’s of Education. She acknowledges that her success thus far would not be possible without the support of all the mentors that she has had. As an underrepresented minority, who has been given several opportunities and much support throughout her academics and training, Alicia wishes to be a mentor and educator in efforts to inspire other youths and minorities to pursue college and a future in science too.